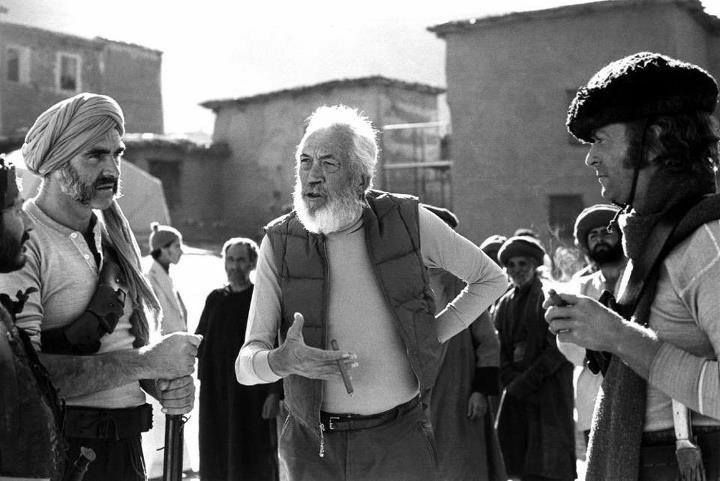 Director Huston on set with his two stars of the movie. Rudyard Kipling as portrayed by Christopher Plummer in the movie. Advertising for the film always emphasised its two stars, then at the peak of their careers. Years before, Huston had wanted Clark Gable and Humphrey Bogart in the roles. This poster focuses on the film's lighter, adventure-spectacle aspect, rather than its ironic view of pride and religion and empire..
Power and pride - Dravot is crowned King by those who consider him to be divine. Dravot's .hubis will prove fatal. 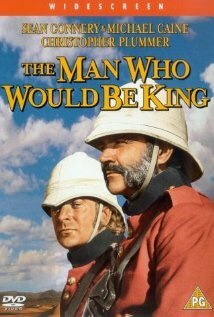 Huston's movie is surprisingly faithful to its literary source, Rudyard Kipling's famous short story The Man Who Would Be King, first published in 1888. Both story and movie are framed around the tale of two former British army officers, Peachy Carnahan and Daniel Dravot. Rogues, conmen and adventurers. 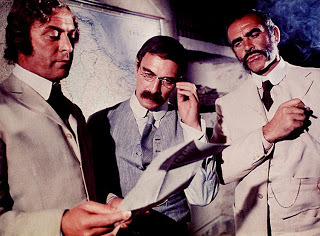 The two tell the narrator, a journalist (Kipling in the movie) their audacious plan. They intend to find the mysterious Kafirstan in Afghanistan in the hopes of making their fortunes in this mythical city associated with the campaign of Alexander the Great in the region. Peachy intends to 'plunder the country four ways from Sunday'. Eventually he becomes the treasurer of vast wealth and plans to steal it. But Dravot, hailed by the natives as Alexander's son, is tempted by power and glory. He crowns himself king and is worshipped as a god. Eventually their hubris leads to disastrous consequences for both. For some critics, their selfish motives and actions, and their fatal underestimation of the values and strengths of the local populations, constitute Kipling's subtle critique of colonialism. The film clip below shows the significance of the legend of Alexander to the pair's plan to establish their own kingdom and gain riches and, in Dravot's case, power and perhaps divinity. 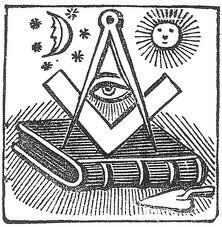 Kipling belonged to the Masonic Order, and various Masonic arcane rituals, emblems and passwords are mentioned in his story. Some are also deftly inserted into the film. David Gilmour's book The Long Recessional (London, 2002) suggests that Kipling met a Freemason in India when the author was a young journalist; embellishments of Masonic lore may have been grafted onto aspects of the Indian experience. Kipling was inducted into the Masonic Lodge in Lahore when a twenty year old journalist. 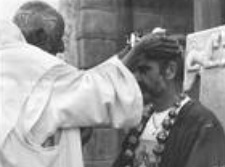 "I was entered by a Hindu, raised by a Mohammedan and passed by an English master.He regularly visited other lodges in India. http://www.kipling.org.uk/rg_brethren1.htm In his story the Kafiristan priests practise Masonic rituals, which supposedly are legacies from Alexander. 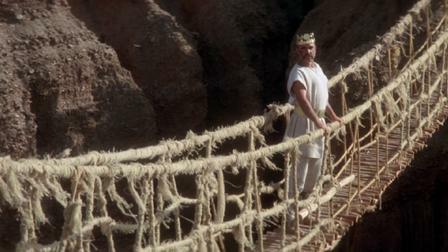 In both story and film this helps explain how the two adventurers are able to win the loyalty of the inhabitants. The film also has Kipling give Dravot a Masonic watch charm, which helps convince the priests that he is Alexander's son. 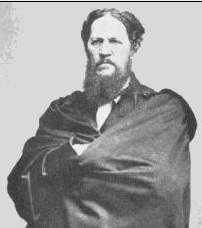 Josiah Harlan, like the two main characters in book and film, was a soldier and adventurer. In the early 19th century, Harlan, an American born in 1799, and for some years a 'surgeon' with the East India Company decided to find wealth and glory in Afghanistan. He travelled the route taken by Alexander the Great, eventually persuading part of the Hindu Kush's population that he was a god, and ruled the area as 'Prince of Ghor' until the British replaced him in 1839. Like Dravot, he trained his own army. Unlike Dravot he survived, eventually returning to the USA, marrying, and persuading the US army in the 1850s to try camels as cavalry in the West. Ben Macintyre in The Man Who Would Be King: the First American in Afghanistan (New York, 2004), argues that Kipling would have been aware of Dravot and his exploits, which were a source of conjecture and discussion amongst British journalists, soldiers and administrators in India.Thus his famous story rested on a combination of ancient legend about Alexander and the mysterious region, elements of Masonic myth and aspects ofHarlan's fascinating career in the Hindu Kush. The information conveyed throughout Kipling's story The Man Who Would be King -and the film adaptation -show that the story is set in Nuristan, now a province in east Afghanistan, adjacent to N.W. Pakistan. Its northern boundary is marked by the Hindu Kush mountain range. The region's earlier name was Kafiristan. The word 'kafir' means 'unbeliever' to the surrounding Muslim people, and the people of this area did not follow Islam. Instead, their religion was a mix of polytheism and ancestor worship. This ended in 1896 when the Emir of Afghanistan forcibly converted the population to Islam, destroying temples and shrines and killing local priests.The region was renamed 'Nuristan' - land of the enlightened. A beautiful woman will reveal that Dravot is all too human. She is actually Michael Caine's wife in real life. The varied and lively music for 'The Man Who Would Be King' was composed by Maurice Jarre, famous for his work on 'Lawrence of Arabia' and 'Dr Zhivago'. You can listen to an excerpt, based on British military marches of the time, below. Jarre's soundtrack for the movie. Click for online version of Kipling's story. Mountainous, mysterious and an example of an 'enclave culture', an area whose isolation has produced a culture divergent from those that surround it. Today it stills remain the hub of intense Taliban and al Queda activity. 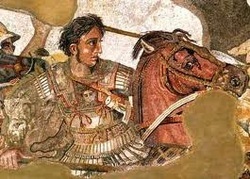 Idealised depiction of Alexander the Great's army. Alexander the Great's army marched through the Kafiristan area, and according to some accounts left behind Greek / Macedonians who settled there. This is held to explain the pale complexioned, blue-eyed features of some of the region's people today. However, other genetic factors may also explain these ethnic characteristics. 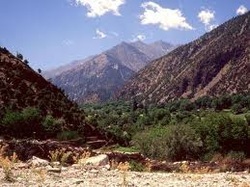 Both Kipling's story and the film assume that Alexander the Great did indeed colonise the Kafiristan-Nuristan region. American forces under Taliban attack in Nuristan. The area was a stronghold of Afghan resistance to Soviet forces in the 1980s. Many of the Soviet's greatest losses occurred here. Several decades later Nuristan province is now a focus of Taliban activity against Coalition forces. In 2009 the American command closed down all four bases it had established in the area, unable to protect them sufficiently. The region bestrides crucial infiltration routes used by the Taliban / Al Queda moving to and from Pakistan. 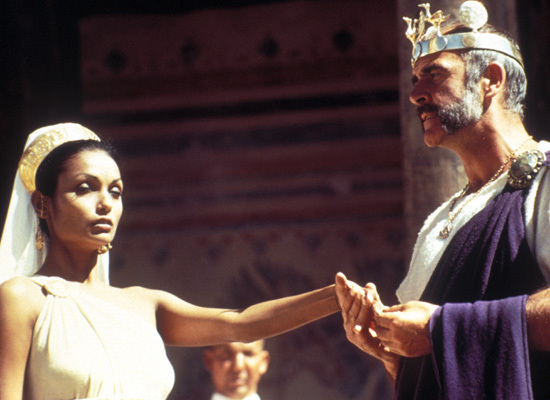 King is typical of Houston's best films in that it was shot on location and involved adventure and a failed quest, carried out by people motivated by greed and pride. Their initiative and courage cannot overcome their fatal inability to understand themselves and the situation they have got themselves into. Their plans of wealth and power are inevitably overcome by forces they cannot control. 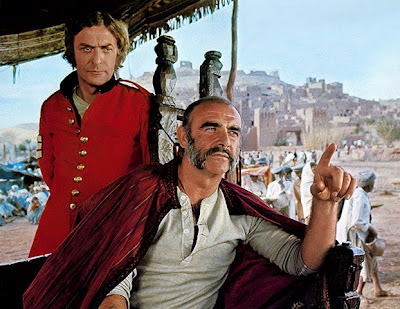 The Man Who Would be King is also one of those Houston films which examines religion and its demands, especially what Huston regards as its unhealthy and unnatural focus on a life removed from the pleasures and temptations of the human sphere. Huston can be seen below narrating the trailer for The Man Who Would be King. His distinctive, authoritative voice, obvious self-confidence and air of authority and cynical charm meant towards the end of his career he occasionally acted in other directors' movies, such as John Milius' The Wind and the Lion, and most famously, as the villain in Roman Polanski's Chinatown.